The British Guild of Beer Writers turns 25 / #GBBF 2013 Britain’s BEST BEER!! Beer writers know how to party! Monday night was no exception. A whole bunch of us crammed into the superb upper function room of The Parcel Yard (Fuller’s) Pub inside Kings Cross station in London. 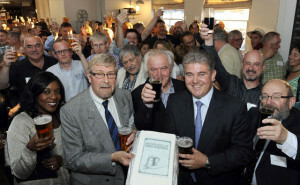 We were celebrating the 25th anniversary of the existence of the British Guild of Beer Writers, of which I am a member. I was asked to say a few words and I thought it was really important to doff my cap to the future of beer writing. I think I’m part of the new era, in terms of representing the fact that beer drinkers come in all colours, shapes, sizes, races, genders and creeds. No longer can a beer drinker be defined as a portly middle-aged white male, with a beard! 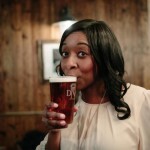 I’m also a blogger, who shoots and edits videos about beer! And I’m a qualified broadcast journalist, who’s never worked in newspapers and who’s never written a book about beer. 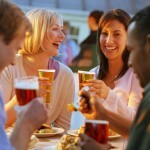 There are many variations of beer writer in the UK. I’m proof of that, AND there are tons more out there who at the moment write well, and make videos but think the Guild might not want them or that they are not the right ‘type’ of writer for the Guild! NOT TRUE, say I!!! In fact I haranged some of the new breed I met at the GBBF the next day – the likes of Simon of the Real Ale Guide, Rob (Hopzine) and Terry (BeerGoggles Review) and Maggie ( Loaded Kitchen) who are doing things differently – reaching big new audiences online and – in Maggie’s case in particular – who are surprising readers with what beer is all about and what you can achieve with beer. I think being part of the Guild is a great way to meet other writers, talk, share ideas, hopes and fears, and learn more as well as meeting some of the actual breweries whose beer you drink! Another gaggle of beer writers and a fair few women in the room too (brewers, writers, journalists) despite this picture I photo-bombed!! Melissa Cole, Pete Brown, Bobby Orbit, John Bexon (Head Brewer, Greene King), Simon Yates (Head Brewer, Bankss’ Beer), Kimberley Owen, Vital PR (Marstons brands), Phil Harding – Director of Boutique Beer Brands, David Wilson, British Beer and Pub Association and many many more!! Congratulations to Elland Brewery whose 1872 Porter who the golden prize of being the BEST BEER IN BRITAIN (the Champion Beer of Britain) I was lucky enough to meet Ellan’s Head Brewer, Martin Ogley at a CAMRA reception at Westminster earlier in the year and taste the beer, which had already won the CAMRA’s Winter Beer. He rang me yesterday saying he’s over the moon and thanked me! 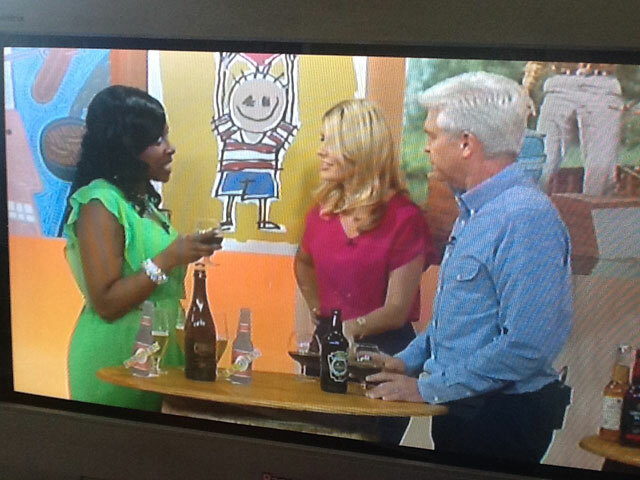 I didn’t do a thing but I’m doubly-thrilled for HIS win because the minute I tasted that beer back in May, I KNEW I had to take it on what was a forthcoming appearance on ITV’s This Morning show! WOOHOO! 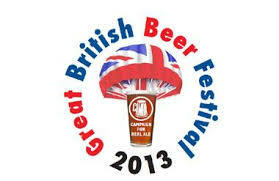 One Response to The British Guild of Beer Writers turns 25 / #GBBF 2013 Britain’s BEST BEER!! Cheers for the kind words about my work Marverine. Beautifully crafted article that really shows the importance not only of what guys like me are doing, but also why I should be on board with the Guild. Looks like my next step forward will be to join the British Guild of Beer Writers.